The painting style is definitely not Chinese. If this really did exist in 1920, it would have been made elsewhere. 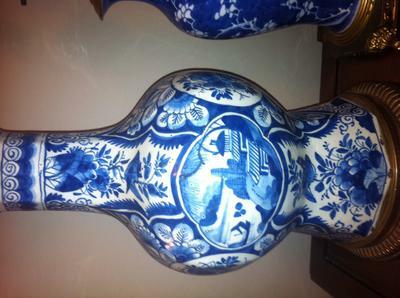 Despite the seemingly Chinese central motif it would have to be European, SE Asian or Japanese. 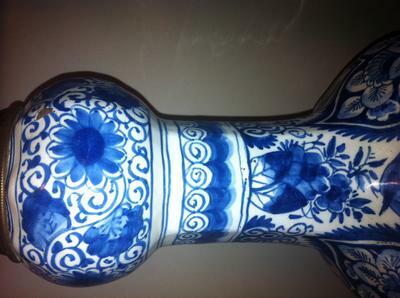 The shape is also a bit off the traditional Chinese shapes. I could only be Chinese if it was recently made, copying foreign painting styles.